Professional Dog Training Learn to train and handle your dog effectively using positive, reward based training. Successful dog training is accomplished through hard work and consistency. As your trainers, we will work with you to design an dog education plan to meet your goals as well as the needs of each individual dog. 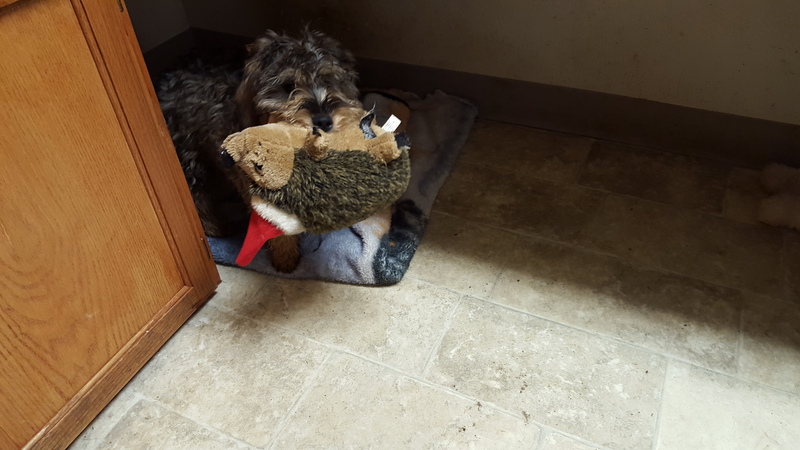 To get the most benefit from your investment of time and money, you will need to work with your dog regularly and consistently. We will help you develop the handling and training skills necessary for successful training. It is your responsibility to apply them. Private lessons are scheduled Monday – Saturday. 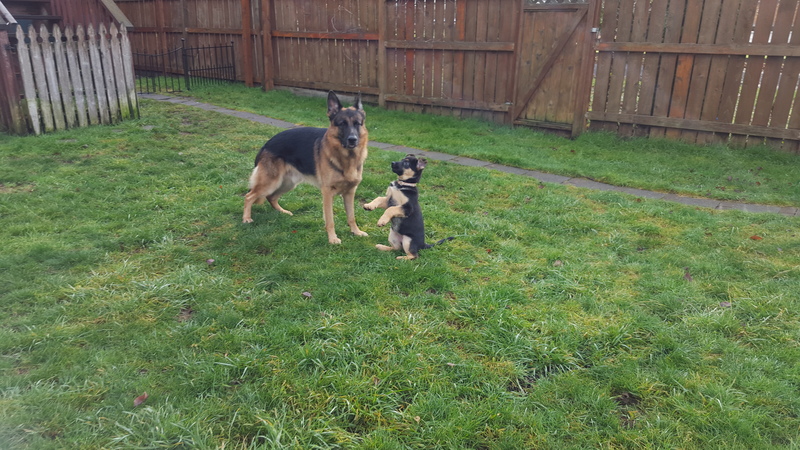 Our basic obedience program includes one private lesson each week. All private training programs are personally designed around you and your dog. If more intensive instruction is required for serious training problems, we are happy to work with you. Flexible scheduling is usually no problem. We have extensive experience teaching people how to train and handle their own dogs in real world situations. Training is available at our facility or in your home. Group Training Classes are held at 9:30 Saturday morning. Students actively enrolled in private training may attend as many classes as desired, at no extra charge. Aggressive or overly dominant dogs are not allowed in group class. For handlers not currently enrolled in private training, group class is also available on a drop-in basis – $20 per lesson. Training in a group is a higher level of challenge. It is a valuable part of training a reliable dog. While we do practice on – leash greetings, it is for the purpose of teaching good manners, not socialization. Young dogs should be socialized with appropriate playmates in a safe, fenced area that allows leashes and training collars to be removed so that the dogs may play freely. Puppy Kindergarten is a great way to start your new puppy. Early training can be the key to developing a dog that will be safe, dependable and confident wherever you go. Emphasis on good social skills and a positive outlook on training are important goals for this course. 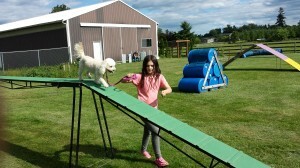 Agility for puppies is also included in this program. 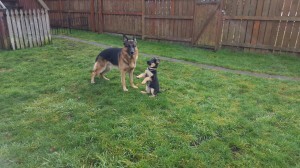 New handlers will learn good canine communication and management skills. Puppy Kindergarten teaches many valuable life skills. Basic Obedience is a good starting point for adult dogs and their owners. Handlers learn to use positive reinforcement while teaching basic commands. Dog safety and good manners are also important parts of this course. Includes introduction to agility. Advanced Obedience Good basic obedience skills on the part of both handler and dog are a prerequisite for this course. Off leash work, hand signals and resistance to distraction are key parts of advanced training. This is a program designed specifically to meet your training goals. Whether you want to sharpen performance for competition or keep your working dog in top form, this course is for you. Emphasis is on the skill and techniques of the handler as much as on the dog’s education. Safety is always the top priority. Quality equipment can make the difference between a safe, fun training workout and a disaster. Every handler should have a 6′ leash and a 20′ – 30′ long line, as well as an effective training collar. We are open to almost any type of training equipment, provided it is humane and allows you to maintain good control of your dog. Exceptions: No zip leashes or chain leashes. All handlers must have the ability to stop their dog in the event the dog has ideas that run contrary to yours or safety of the class in general. Body and facial harnesses are not recommended. Be respectful of personal distance with other dogs. No off leash activity without instructor approval. Be weather safe – Bring water for yourself and your dog. No open toed shoes or sandals on the training field. 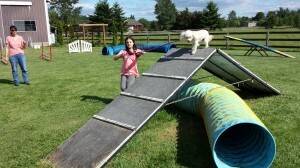 Agility is one of the most popular dog sports in our country today. If you are looking for a great way to have fun and exercise with your dog, this is it! Watch your dog’s confidence grow as they master the obstacles and learn to run a course. 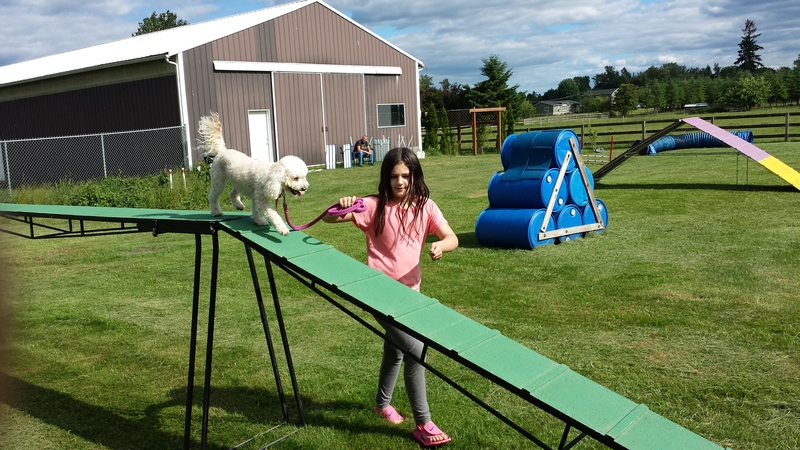 We offer individual training, giving you the entire agility course to yourself and your dog , as well as the benefit of one on one coaching. All levels of handlers and dogs are welcome! Is your dog confused about who is in charge of the house? Individual sessions designed specifically for you and your dog will help you become the pack leader once again. Consultations are available at your home or at our facility. 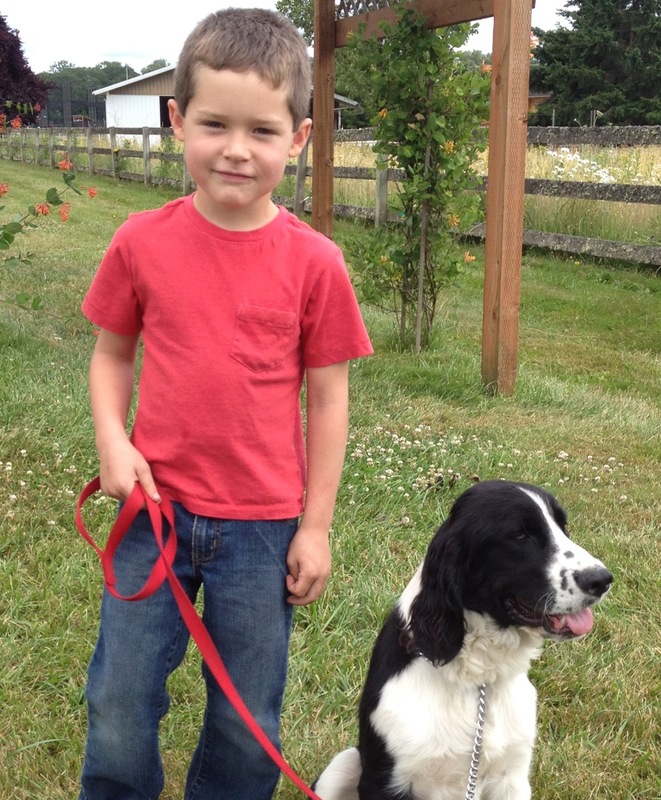 Dog Training For Kids A great way for kids to have fun with their dog and learn at the same time! Never too early to start! 5 years old and already training with his best buddy. This program is designed to help owners of naturally protective dogs develop a safe, effective family guardian. In order to properly protect your family, the dog must be well trained so he can be with you as much as possible. Learn how to make your dog an even more valuable member of the family. This is an intensive course, only for dog owners with the desire to develop superior dog handling skills and the commitment to do the work necessary to have a well trained, reliable working dog.